Sean Pablo is set to introduce a new division of his Paradise brand. 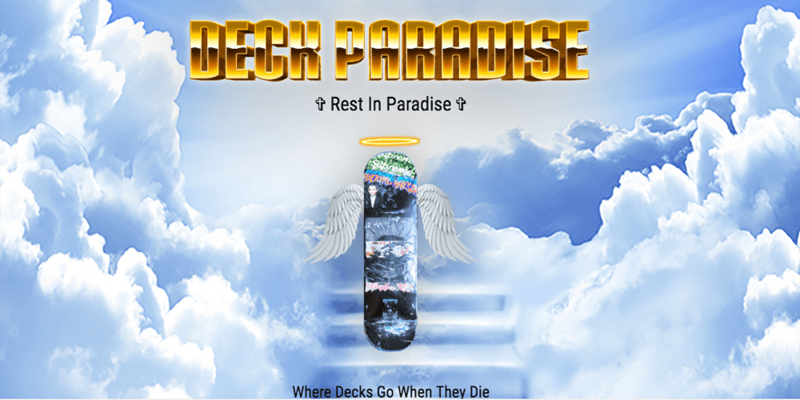 Deck Paradise will offer used boards from pros and ams that come with a certificate of authenticity. All of the proceeds from these sales will go to charity. While pros selling used boards at famous spots is a time-honored tradition in skateboarding, this is the first adaptation of the concept that we’ve seen in the internet era. There’s currently no word on the launch date for Pablo’s upcoming project. We’ll update when more information is revealed.